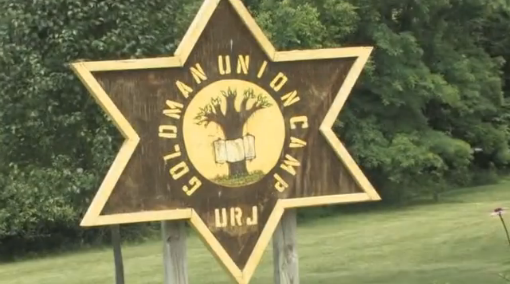 One of my defining Jewish experiences was attending overnight Jewish summer camp. I went for two summers in the early ‘80s to Camp Komaroff, located in Lake Arrowhead in the San Bernardino Mountains of California. Living communally, surrounded by other Jews, our days were infused with fun and activities, our nights with songs and campfires. At the close of each week we would clean up around our bunks, shower and prepare ourselves for the pinnacle event—Shabbat! Everything about Shabbat was different than the rest of the week: the food, the songs, the prayers, the atmosphere. And when camp was over, I came home a changed person, better from having had such amazing experiences. As a parent, I was excited at the thought of our children having a similar experience. Camp GUCI did not disappoint! Watching the online video solidified my desire to have our kids attend there; it seemed the closest to what I had experienced so many years earlier. As we prepare for Elyse to leave for her second time at Camp GUCI, it is obviously with a mix of emotions. As with her first time last year, she BEGGED us to let her go. Clearly she has not allowed the tragedy of last summer to prevent her from moving forward. While camp may have been WHERE Ethan was when this horrible event happened, it is not the reason WHY it happened. This could have happened in our backyard, or on the baseball field, or any number of locations. There is no understanding why it happened. It happened. And taking our cues from Elyse, we are trying our best to put one foot in front of the other and move forward. Joni Mitchell was the songwriter of “The Circle Game,” a popular song from the late ‘70s and beyond. It was a song we often sang at Camp Komaroff, particularly around our closing campfire. There were tears of sadness, along with the hope that we would gather again the next summer. This song plays in a constant loop in my head right now as we prepare Elyse for her grand adventure. For others who are heading out to camp, we wish you a fabulous time. Make great and lasting memories!